Aguanomics: Use drugs with caution! 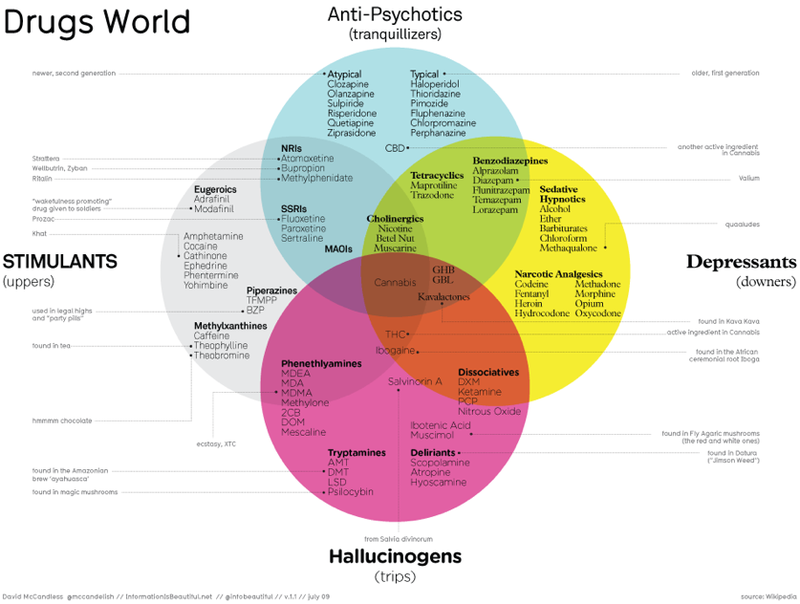 On a more serious note, check out this Venn diagram for recreational drugs. So Cannabis is both stimulant and depressant, anti-psychotic and hallucinogenic? No wonder it's so popular - it's all things to all people! Do not forget to mention that all these things get into the water as well – think of the consequences. Before reading the article I did not know that the coffee contains these kinds of risks also. Thanks for sharing the info.